This entry was posted in Reviews on December 19, 2014 by Sunrise Pixels. This entry was posted in Reviews on December 16, 2014 by Sunrise Pixels. Holy crap! 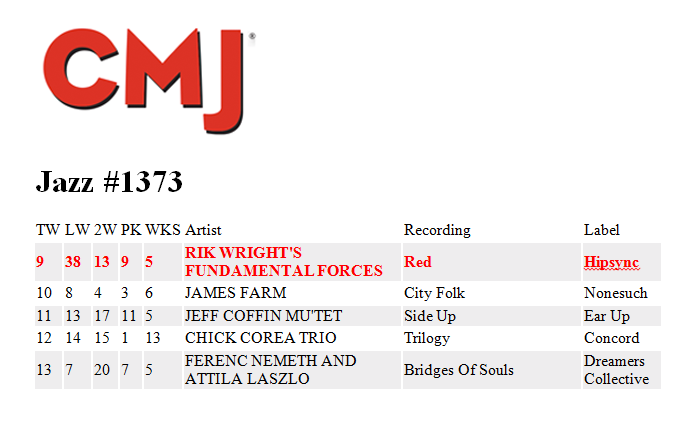 I was happy with 13, but now our new CD “Red” has climbed to #9 on the CMJ Jazz chart! This entry was posted in Newsletter, Promotions on December 12, 2014 by Sunrise Pixels.